Songwriters of all music genres and skill levels are welcome to join us for our April 2019 evening!. Develop your skills in the craft and business of songwriting, network and collaborate with other members, and be involved in this supportive songwriting community. Our Speaker for this second ASC Melbourne Circle will be Circle Coordinator, performing singer/songwriter/guitarist and recording artist Adam Jones. 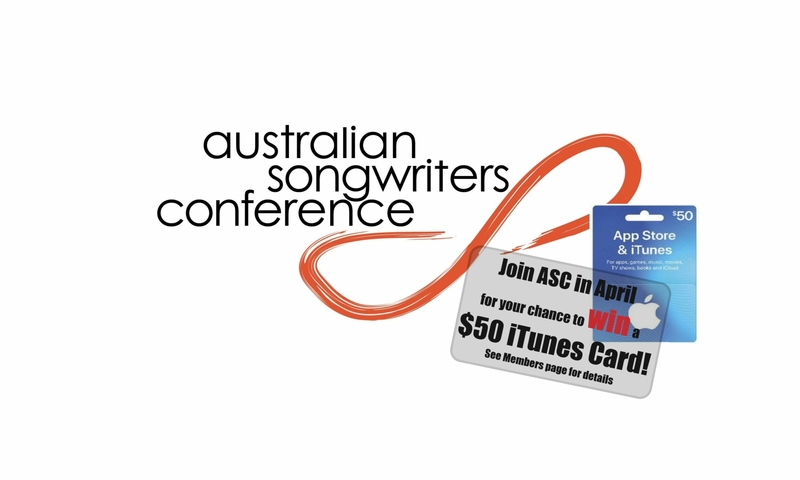 Adam will speak on ‘The nuts and bolts of songwriting’ – different ways of writing a great song. Adam, who has attended two Australian Songwriters Conferences, and who now also coordinates the ASC Melbourne Circle, is signed to Foghorn records in Sydney with worldwide distribution and publishing agreements. He released an album in 2017, an acoustic version of that album in 2018, along with an acoustic single from that album, and is set to release 3 new singles and then a new album in 2019. Adam has been singing and writing songs and performing them live, solo and with a backing band, for over 30 years. Don’t miss this great opportunity to hear Adam Jones share his knowledge and experience and answer your questions about songwriting. Register your song title by emailing ascmelbournecircle@gmail.com by midday on Sunday 21st of April (NB do not email the song itself). You can play your song live or have a recorded version of your song on a device that has a headphone jack to plug into our speaker. Please bring 10-15 copies of your lyrics on the night. * Attendees are invited to meet at the old Grace Darling Pub from 6pm before the meeting to share a delicious pub meal together. ASC Members have free entry to the Circles and non-members can attend their first two meetings for free then become an ASC Member or pay $15 entry to further meetings. Songwriters of all music genres and skill levels are welcome. Develop your skills in the craft and business of songwriting, network and collaborate with other members, and be involved in this supportive songwriting community. We look forward to seeing you at our second ASC Melbourne Circle!